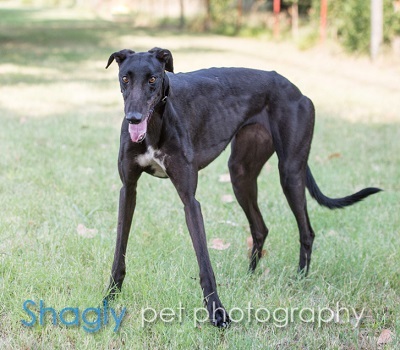 Sunday, aka Kells Sundowner, is a 2 year old black female born May 17, 2015. Her sire is TK Quick Strike and her dam is Cabo Cat. 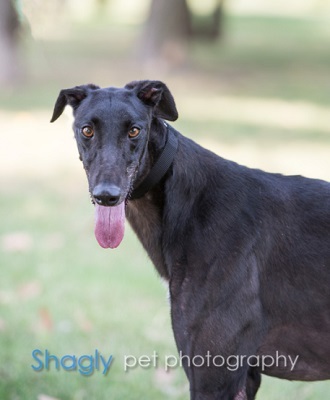 Sunday has 23 races to her credit on Greyhound-Data.com, starting March 9. 2017 at Sanford-Orlando track in FL, and finishing there on June 16, 2017. It is not known at this time if Sunday is small animal or cat tolerant.